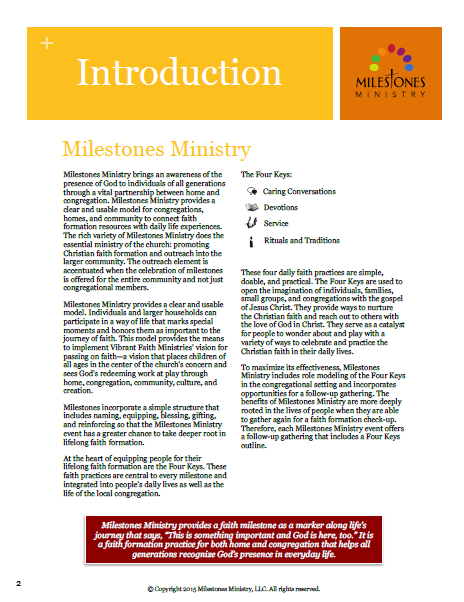 The following Milestones are contained in the Child and Youth Milestones Ministry Manual (Series A) to equip families with children in the home to nurture the Christian faith. They are also available individually as downloads. 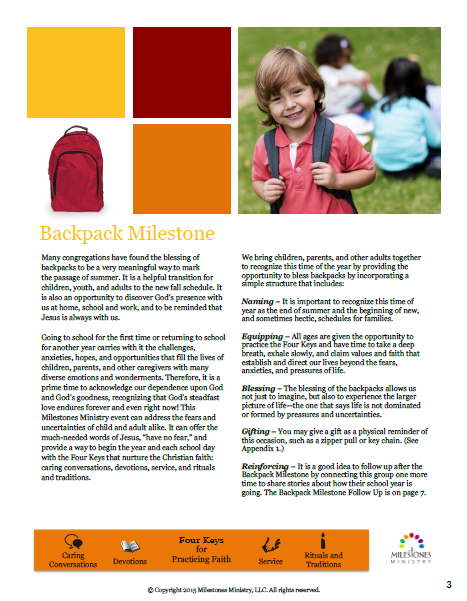 Beginning with getting a FaithChest and the foundational Milestone of baptism to the blessing of a driver’s license and going on a mission trip, these 18 individual and stand-alone modules help equip moms and dads, grandmas and grandpas, and children and youth to enjoy a life of faith in and through the home. Each Child and Youth Milestone module consists of a design that can be used in three different settings: Cross+Generational, the Home, and Follow-Up for both. There are also tips for planning, a Worship Blessing that can be done during worship, and outreach suggestions. 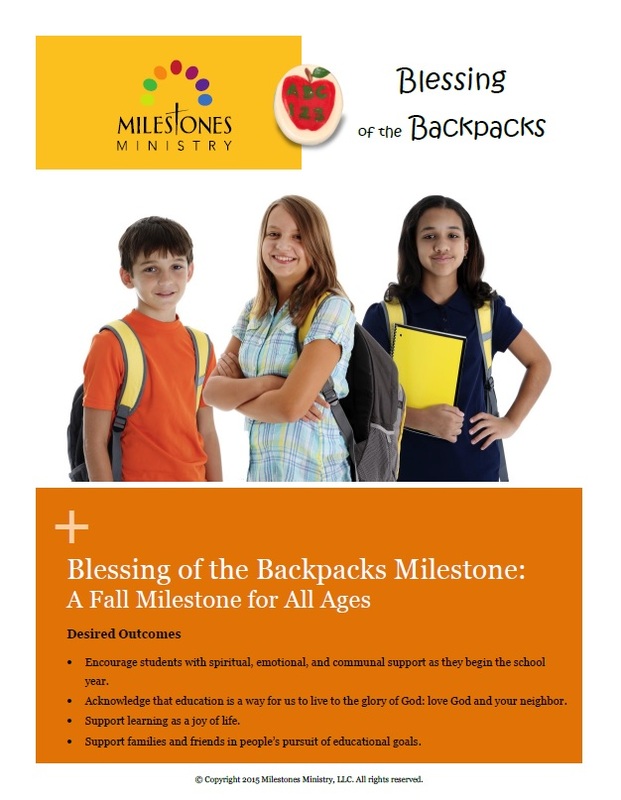 These milestones serve congregations by providing an excellent pre- and post-confirmation faith formation process that prepares and strengthens children and youth for a life that affirms their baptismal promises.